Thank you, Swindon Historian Frances Bevan, for such a nice review on her blog, Swindon in the Past Lane. What’s even more fun is all the interesting information you provided about the polyptych, which was certainly a big inspiration for my novel. Frances also posted her review on her brilliant site Good Gentlewomen, a fascinating record of St.John women through the ages, and a site that I return to again and again for its wonderful accounts. 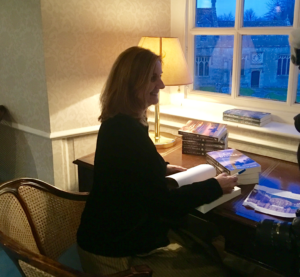 I recently was asked to contribute an article to the English Historical Fiction Authors blog, and very much enjoyed writing the “back story” to The Lady of the Tower. We writers always have trouble saying goodbye to our research, let alone whole chunks of our writing, so it was a great opportunity to air out the facts behind the novel. When you read of the lives of “The Six Lady St.Johns” I think you’ll find why I found their stories so fascinating and felt compelled to write The Lady of the Tower. 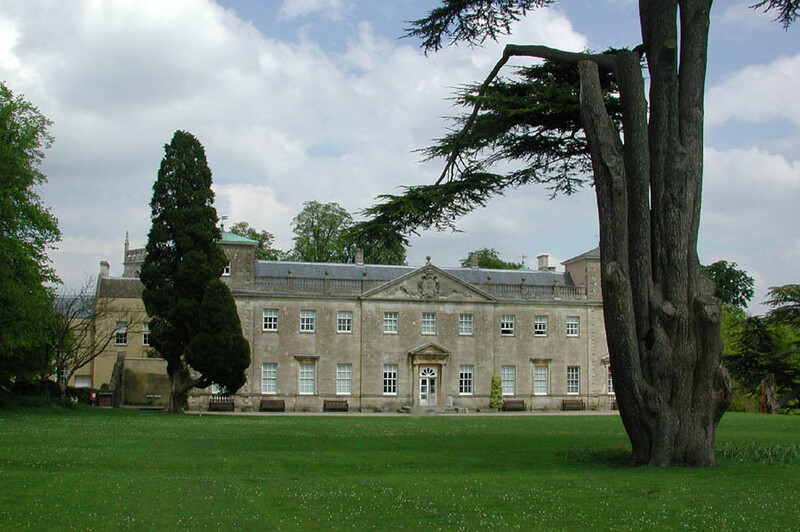 This beautiful photograph is of Lydiard House, Wiltshire, where the six sisters were born in the late 1500s. 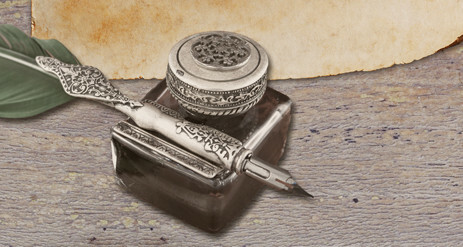 I really enjoyed Cryssa Brazos’s thoughtful interview, and the interaction with her readers. I bumped into Cryssa at the Historical Novelist’s Conference in Denver last year. It was great to meet an informed writer who has such a passion for our underserved period of choice – the 17th century – and who could also stand and talk for hours about minutiae from the English Civil War. Thanks for having me on your blog, Cryssa! 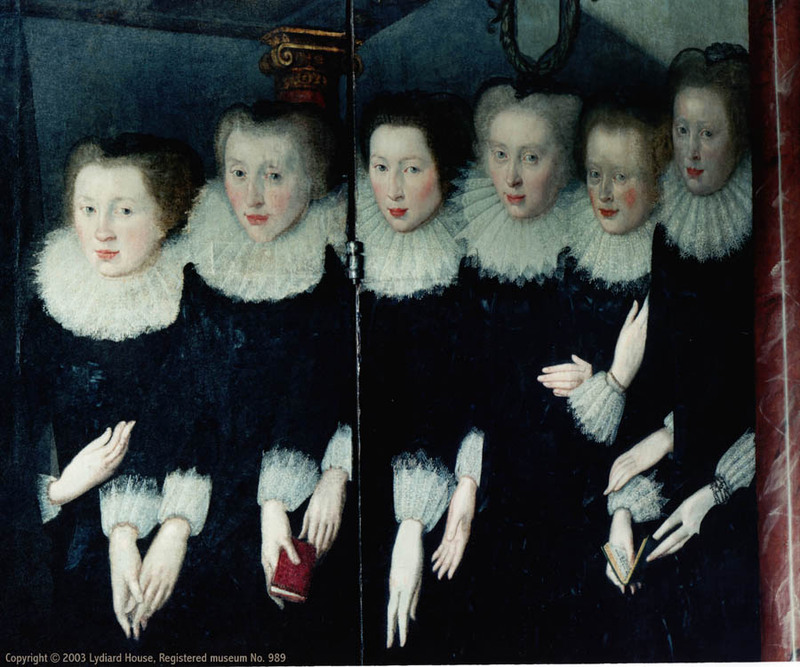 And here’s the portrait of the six sisters, which stimulated some good conversation! Appreciate all the great reviews that The Lady of the Tower is receiving on Amazon and Goodreads. Thanks, and I’m so glad you’re enjoying Lucy’s story! Set during the reigns of James I and his son Charles I, The Lady of the Tower is the compelling story of Lucy St. John, wife of Sir Allen Apsley who was appointed Lieutenant of the Tower of London in 1617. From prologue to last chapter, the author keeps the reader mesmerized with the intrigues and high-stakes happenings of seventeenth century England. Lucy St. John is a worthy protagonist. Orphaned at an early age and raised by a mean-spirited aunt, Lucy is generous, caring and intelligent. Captivated by a young courtier, Lucy’s hopes for marriage are destroyed when her conniving, self-centred sister interferes. On the verge of leaving England for a secluded life in Guernsey, Lucy meets Allen Apsley. Elizabeth St. John (a descendant of Lucy) deftly portrays the decadent Stuart court, a time of intrigue and political scandal. Her vividly drawn characters risk all – some for wealth and position, others for family and duty. The Lady of the Tower is both a love story and a highly engaging look at the events and people that tipped England towards civil war. 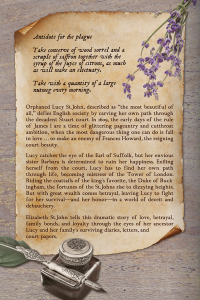 In The Lady of the Tower Ms St.John tells this dramatic story of love, betrayal, family bonds and loyalty through the eyes of her ancestor Lucy and her family’s surviving diaries, letters and court papers. It’s an historically responsible account, very interesting in its arrangement, the skill behind Lucy’s language and idiom, and the remarkable plot, which deals with Lucy’s life from the accession of King James to the throne of England in 1603 to her departure from the Tower of London in May of 1630. A large Elizabeth garden is indicated in the Haiward and Gascoyne Survey of 1597, and entry from the Bloody Tower as well as the Lieutenant’s Lodging are both shown. Perhaps that’s why, when Lucy St.John was in residence at the Lodging, she gave Sir Walter Raleigh access to the hen house in her garden for his alchemy. 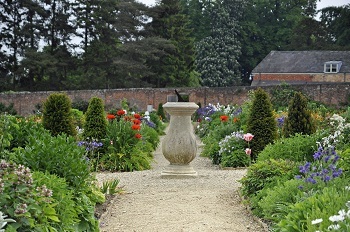 He also kept a still house there, and according to a contemporary account, the door of his lodging in the Bloody Tower was “always open all day to the garden.” I like to think that the walled garden at Lydiard Park may have inspired Lucy to create her own apothecary garden within the Tower. 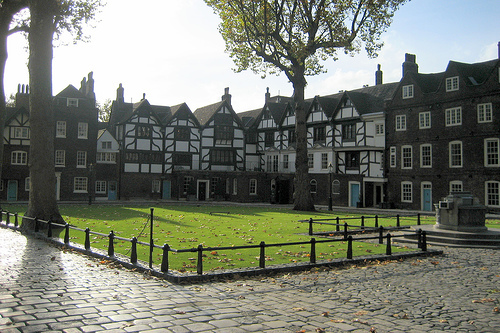 The gabled Lieutenant’s Lodgings in front of the green appear incongruous against the stone bulk of the surrounding towers, But, along with the more famous profile of the White Tower, or Traitor’s Gate, these buildings are an integral part of the history of the Tower of London. Officially called “The Queen’s House”, it is thought that this structure was originally commissioned by Henry VIIIth for his new wife, Anne Boleyn, although the existing buildings are a remodel of the home she stayed in prior to her execution in 1533. 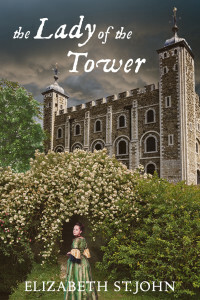 Much of The Lady of the Tower takes place within the Lodgings, the gardens, and the Bloody Tower, where Lucy’s protagonist, the Countess of Somerset was lodged when Lucy arrived – a most unfortunate circumstance. Leading from the Lieutenant’s lodgings is a small passageway to the entrance to the Bell Tower, where Sir Thomas More spent his last days.The present residences were constructed in 1540, based on medieval foundations, and have traditionally been the homes of the Lieutenant of the Tower and his deputies. 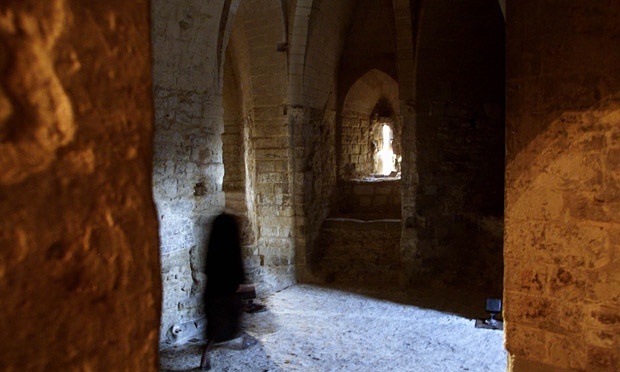 They contain offices, receiving rooms, kitchens and bedrooms, as well as a formal chamber in which many prisoners were questioned – including such traitors as Guy Fawkes. 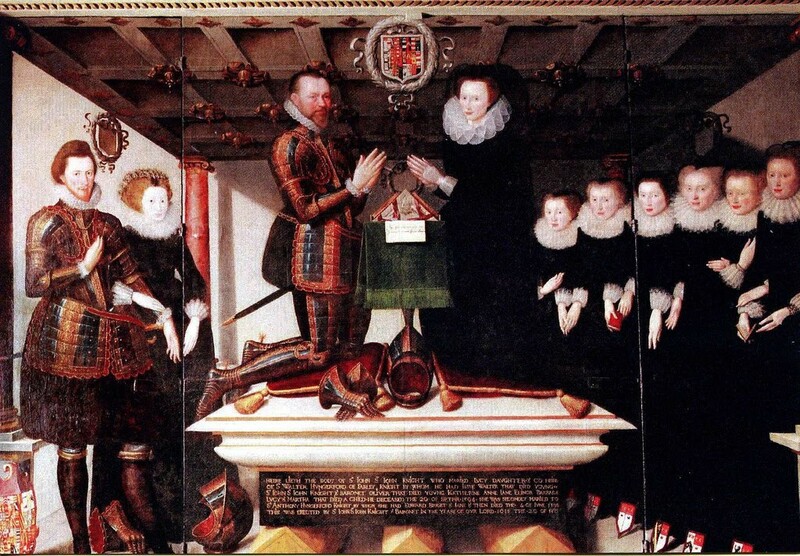 Lady Arbella Stuart was also lodged in the Queen’s House – because she secretly married the love of her life, William Seymour, and became a contender for the throne. This made James I rather uncomfortable, so he imprisoned her to thwart any potential uprisings in her name. Lady Johanna Sainte John gathered recipes and physicks from friends and family throughout the late 1600’s. Compiled in a leather-bound book of some 300 pages, many of the recipes credit both the source and the person restored, giving us a fascinating glimpse of the health of Lady Johanna and her neighbours. I like to think that just as we do today, she asked far and wide for the best recipes and curatives – and that some of these were contributed by Lucy St. John and her daughter, Johanna’s cousin, Lucy Hutchinson. Both women were renowned herbalists. Many of the recipes include herbs and flowers that are found in any English garden. Others require more complex compounds that would have been purchased from the apothecary shops in a large city. Very little went to waste. In this recipe, which calls for vast quantities of sack (probably a lot safer to drink than the water), the wine was reused to treat consumption, once it had done its work in creating the cordial. Lady Johanna’s Book is now in the Wellcome Library London, a unique collection of medicinal manuscripts and artifacts managed by The Wellcome Trust.